Jerico Racing Transmissions have been winning races and championships since 1980. Pit Stop USA is The Online Motorsports Superstore! We feature Jerico Service Parts at low everyday prices. Pit Stop USA is The Online Motorsports Superstore! 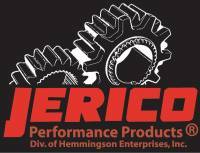 Jerico Racing Transmissions have been winning races and championships since 1980. Short-track races are won or lost on the restarts. Because Jerico 2-speed transmissions have the lowest gear ratios and are faster than internal-clutch transmissions, Jerico racers run away from the pack on restarts, green-flag starts and pit stops. The Jerico Transmission is also lighter, stronger, more compact, and easier to shift than modified factory transmissions. These top-loading Jerico 2-speeds share the Jerico NASCAR Cup transmission's famous dog-ring shifting system and straight-cut billet gears. Race-quality Jerico shifters are manufactured specifically for the Jerico 2-speed Transmission. These complete shifter assemblies include CNC-machined rods and brakets in custom lengths to suit your particular setback. Engineered to excel on either asphalt or dirt, the standard Jerico 2 Speed Transmission is 21A" long and weighs only 52 pounds. Jerico 2-speed transmissions share all of the technological and manufacturing advantages that go into the NASCAR Cup 4-speeds. 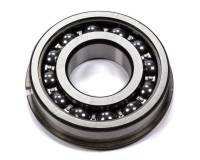 All internal components are CNC-machined for optimum accuracy and heat-treated for durability. 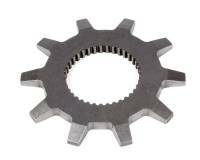 For absolute strength and reliability, no welded gears are used. Moreover, Jerico's ultra-lightweight gear design reduces rotating weight significantly -- delivering more usable horsepower to the rear wheels. These top-loading transmissions employ the proven dog-ring-and-slider shifting system of Jerico 4-speeds. Jerico racers have won championships in both asphalt and dirt tracts since the JericoA 2-speed's introduction. Moreover, Jerico short-track racers typically run an entire season without any type of transmission failure. Jerico gearboxes are equally familiar to superspeedways, road courses, salt flats, drag strips and oval tracks around the world. We feature Jerico Circle Track Transmissions at low everyday prices!